Motorhead in Montreal or Quebec City? Inform me about the next events for Motorhead. Enroll yourself to our priority waiting list for Motorhead to be alerted when new tickets are available. Filling this form doesn't engage you to any purchase. 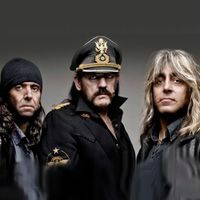 Motorhead will be part of the 2011 edition of Heavy MTL Festival, on July 24th. The group will share the stage at Parc Jean Drapeau with none other than Kiss, and with the group Children of Bodom. The British heavy metal band was founded in 1975. Since, only the bassist and singer Lemmy Kilmister has remained within the organization. Motorhead's last album, The World Is Yours, was released in 2010.